​We are a part of the International Network for Energy Healing (INEH); a group dedicated to the practice and study of Energy Healing. We all have an energy field that surrounds and interpenetrates the dense physical body. We recognise that we are not healers; that there is no such person as a 'healer'. Our task as healing practitioners is to help an individual through their own recuperative process, by enabling a re-balancing of their energy field. The true healer is the individual's own soul. We treat the person, not the disease; so how we work varies according to the needs of the individual. We can 'offer' and 'allow' an energy flow, and appreciate that we are working with a person - and not on them. 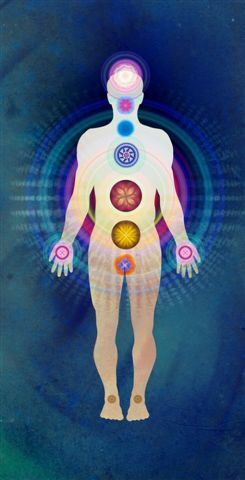 The work is based on a practical understanding of the subtle energy fields generated by the body's chakra system. This knowledge is set out in the philosophy of yoga and, in particular, in the book Esoteric Healing by Alice Bailey. Getting involved with the INEH practitioners, programs, and international network. Would you like to experience the benefits of Energy Healing? ​Our network of INEH trained healing practitioners extends throughout various parts of England and Scotland. Visit our Practitioners Page. We offer training in Energy Healing. Our courses will teach you how to expand your awareness of subtle energies and consciously sense & re-balance energy to facilitate healing. Anyone can become a healer if the desire and will are present. Membership of the International Network for Energy Healing is open to all those who are studying Energy Healing in the UK and abroad. Our network of members extend to over 13 countries throughout the world. International Network for Energy Healing is a registered charity in the UK (1032492).